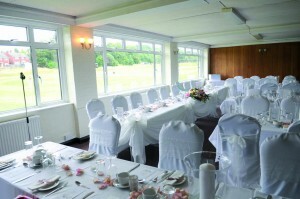 The perfect venue for a formal lunch or dinner for up to 120 people (150 for a buffet style reception), the Gerry Bowthorpe Room has the benefit of a separate and extensive private bar. For company meetings or for conferences using theatre style seating, up to 100 delegates can be accommodated. A pre-wired PA system is available together with a large screen projection facility compatible with Microsoft Powerpoint, 35mm or OHP slide or video presentations.